Halo 5: Guardians will finally release tomorrow Tuesday, October 27 exclusively on the Xbox One. 343 Industries have promised a 60fps experience for the latest iteration in the revered Halo franchise, ever since the game’s announcement, and they have delivered. Given the limitations of the console hardware, however, certain sacrifices had to be made, and a number of rendering strategies had to be employed in order to maintain the much desirable framerate standard. DigitalFoundry tests the final build of the game, after the Day One patch is implemented, sharing their findings in the videos below. DigitalFoundry demonstrates the rock-solid 60fps performance level of Halo 5: Guardians, using both campaign and multiplayer footage taken from the final version of the game, also running with the day one patch. Halo 5: Guardians is surely going to be one of the best titles of the holiday season. It has been gathering great reviews from most major publications, and provides one of the most beautiful gaming experiences on console, while at the same time delivering a rock-solid 60fps experience, courtesy of 343’s implementation of dynamic resolution scaling. 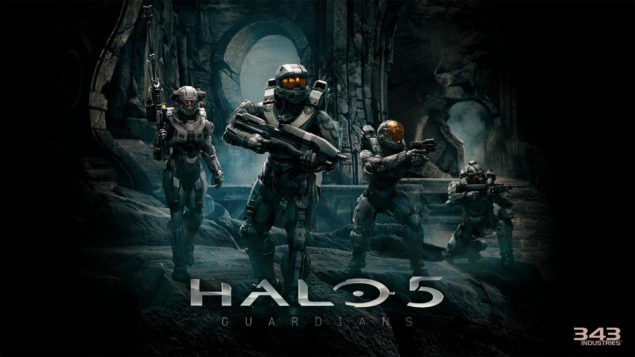 Halo 5: Guardians releases exclusively for the Xbox One on October 27, 2015. We will bring you any new information on Halo 5, as soon as it becomes available.